Ali Modu Sheriff, factional chairman of the Peoples Democratic Party (PDP), says he has appealed the ruling of the federal high court, Port Harcourt, which justified his removal from office. Describing the ruling as the judgement of the “emperor of Ikwere”, Sheriff said the camp of Ahmed Makarfi were busy celebrating what will not stand. He said discussions were ongoing to address the leadership crisis rocking the party, but maintained that peace would reign only if he retains his office. Sheriff spoke through Cairo Ojougboh, former vice-chairman of the PDP in the south-south, whom he picked as his deputy. “The judgement they are celebrating in Port Harcourt, of course, is the judgement of Emperor of Ikwere. We have appealed it and we have also called for a stay of execution. So, it is neither here nor there,” he said. “We have made our points for peace very clear and the two groups are working on it. There are some intermediaries that are looking into it and I am very sure that very soon we will let you know what is happening. “But we are insisting the Sheriff must be recognised as chairman. That is the basis for reconciliation. 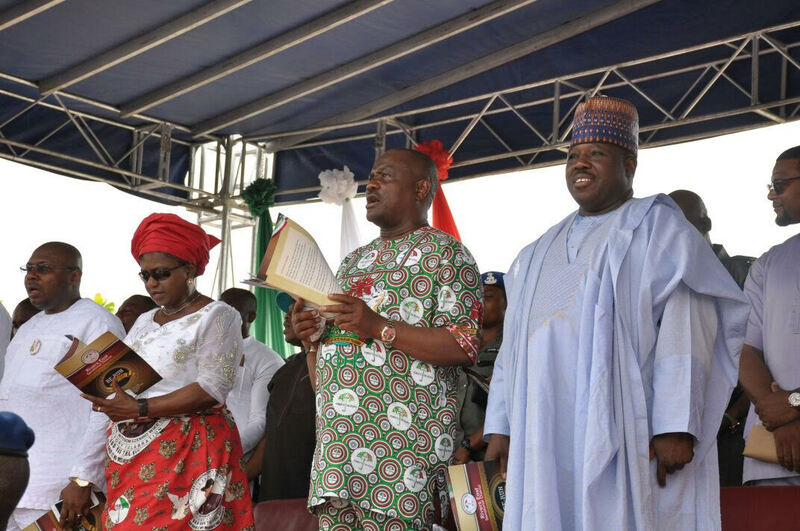 He also condemned a statement attributed to a member of the national caretaker committee in charge of publicity, Dayo Adeyeye, calling for the arrest of Sheriff for parading himself as the PDP national chairman. Ojougboh said a recent judgment from a federal high court sitting in Abuja had ordered that Sheriff was recognised chairman of the party. He added that the the judgment also gave Sheriff the power to submit the names of PDP candidates for Edo and Ondo states governorship elections to the Independent National Electoral Commission (INEC). “But the chairman of PDP, Alhaji Ali Modu Sheriff has some other subsisting judgements in his favour, and if anybody is to be arrested, it is Adeyeye who is making allusion that people arrested,” he said. Ojougboh said all that Sheriff wanted was to return the party to the people from few individuals controlling it. “He doesn’t want only the governors to sit down in their rooms and write the names of candidates and submit. That is the root of the crisis we are having today in the PDP, and Sheriff is ready to address it,” he said. Next articleI will continue to serve Abia sincerely— Dr Okezie Ikpeazu.